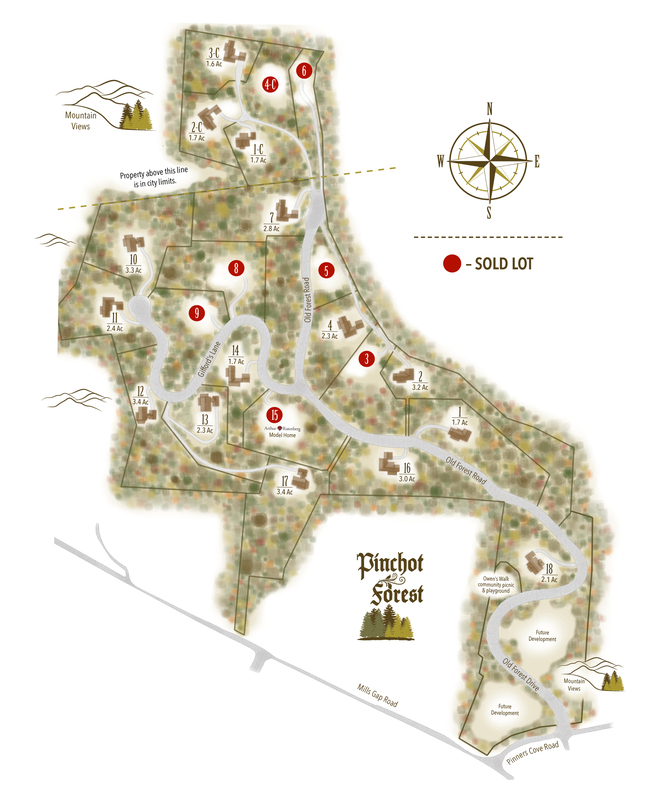 The topography at Pinchot Forest is unmatched at any other community in town. 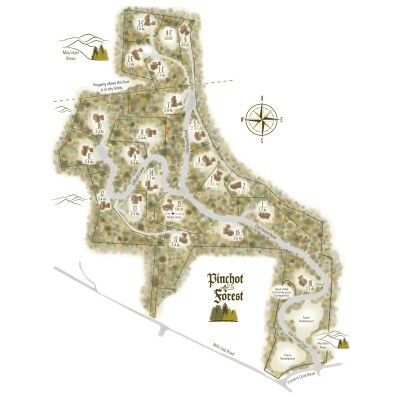 Lots are heavily wooded and secluded, giving you the utmost in privacy. Add in expansive views and proximity to all of the action and you have a community that’s in a class all its own. This plan illustrates a general plan, which is subject to future change and revision. Dimensions, boundaries, and position locations are for illustrative purposes only and are not intended to be exact. Base information derived from USGS and county data and does not guarantee actual field conditions.